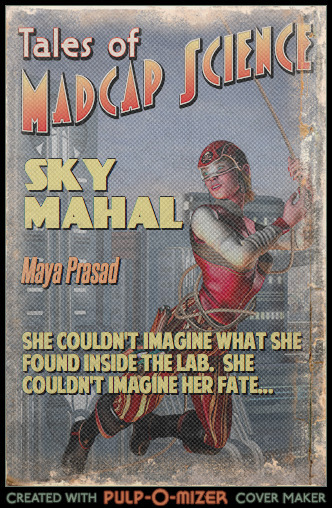 Just for fun, here's a fake pulp science fiction cover for SKY MAHAL using the Pulp-O-Mizer. I saw Nathan Bransford's post on this and I had to try it for myself! Too bad they didn't have any Indian characters to choose from, but this girl looks feisty. She'll do as a stand-in blonde Lona for the time being.